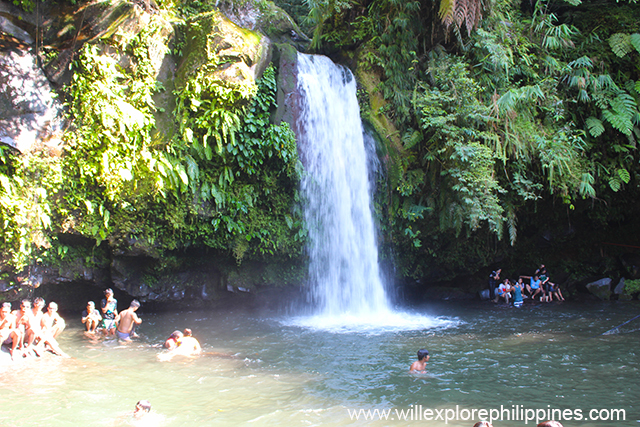 Bukal Falls in Majayjay Laguna is one of the hidden gems at the foot of Mt. 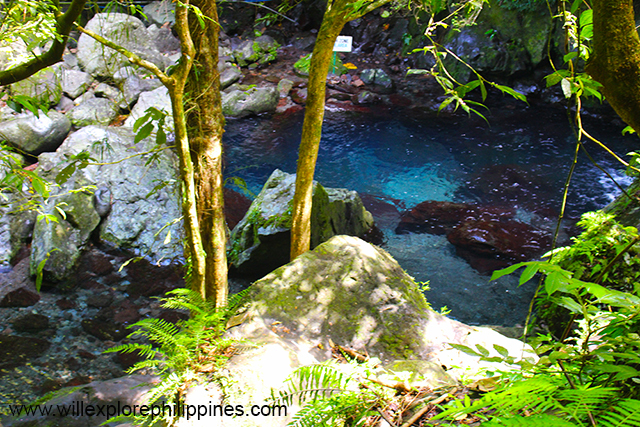 Banahaw because of its crystal clear, emerald green to sapphire blue water and cold as ice. 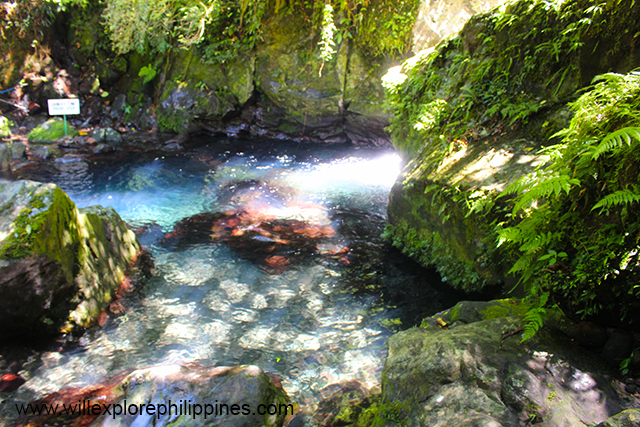 Majayjay is located in this majestic mountain and its just 120 kilometers south of Manila and just few kilometers away to Lucban Quezon. So if you decide to visit this town might as well go to Quezon province and have a gastronomic experience by trying their local delicacies and dishes such as pancit habhab. 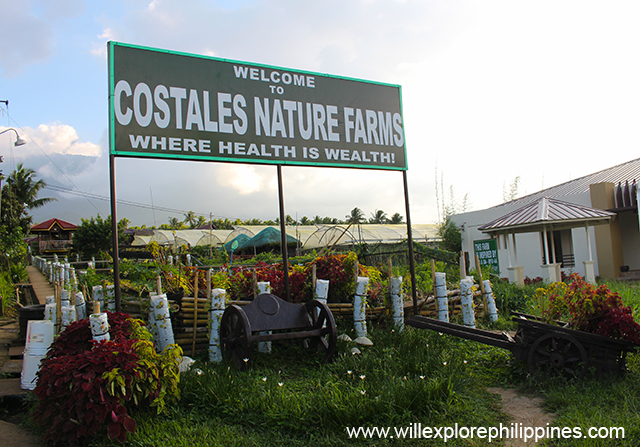 From Costales Nature Farm, we travelled to Barangay Bukal, Barangay Hall then hired a tour guide going to there. My friend and I trekked our way going to the falls. I’m catching my breathe during the trek but I enjoyed the scenery. We spend about 30 minutes going there, a fast pace walk said the tour guide. You will spend 45 mins to 1 hour if you will take it slow. 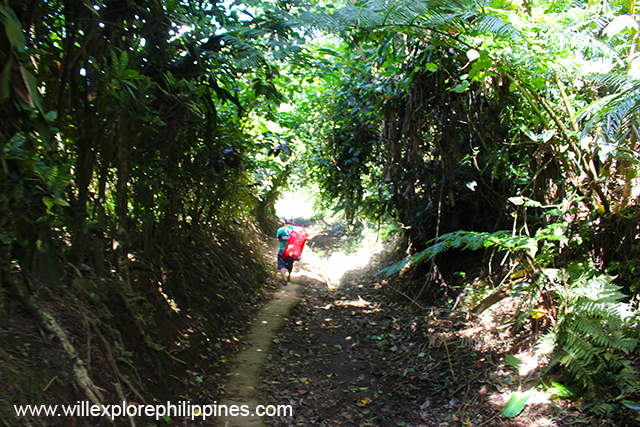 At first, there is a concrete road but after a few minutes you need to climb a bit and walk in a muddy man made path then you will pass vegetable farm and some cemented stairs created by the locals to make the trail easier for us tourists. 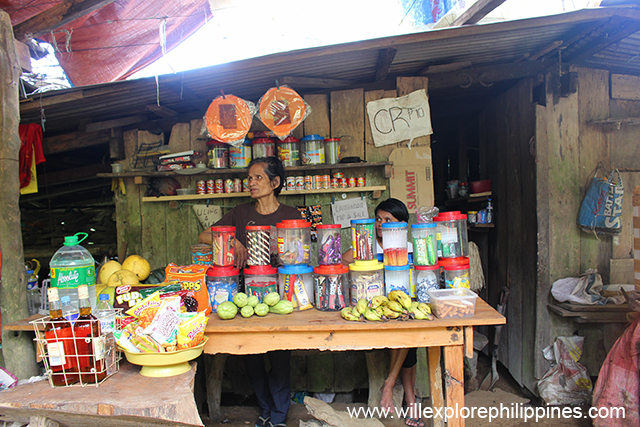 There is a sari sari store at the middle way of the trek, where you can buy some snacks, fresh fruits, buko juice and some drinks to satisfy your thirst or hunger. 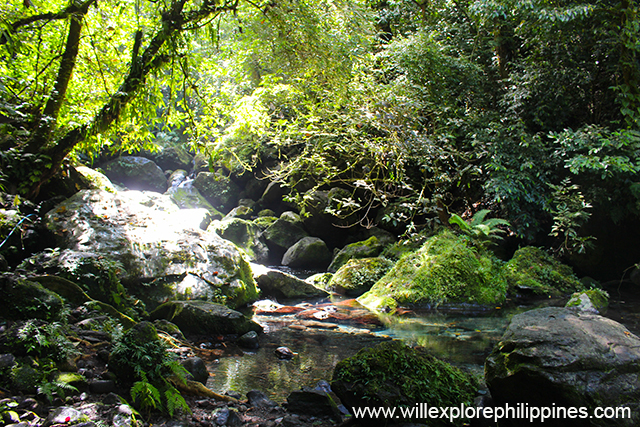 You can sit there for a while and get some few minutes rest before heading to the falls. Wooden benches are there that you can use. After a few minutes, you will see this amazing scenery. Wow! Who will not be fascinated with this luscious greens? As if you will see fairies any moment, it’s like an enchanted forest where magical creatures protect and take care of it. A view you will truly enjoy, a teaser of the main attraction. 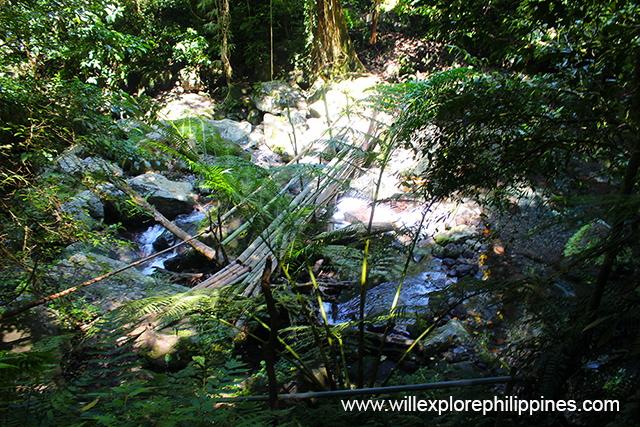 There is a stream which is above it, is a man made bamboo bridge before reaching the hidden falls. You can hear the gushing water, a sign that you are already near. You can bring walking cane to have stability to handle uneven terrain of the mountain. Make sure you wear the proper trekking attire, actually going to Bukal Falls is not part of our itinerary but since we are near this attraction, I accepted the challenge of going there even I’m not prepared. Those topsider shoes are very wrong. Wear comfortable clothes that fitted for this activity. As you look from a far, you will see this picture perfect view!!! Ohhh!!! Nice!!! 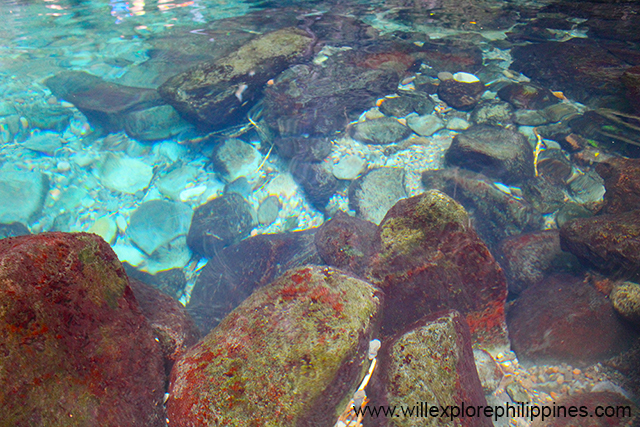 You can even see the rocks underneath, the water is really crystal clear, the color vary from emerald green to sapphire blue. The water glows also when hit by the sunlight yet its cold a ice. This is the small water falls that is from the catch basin from the main falls. This place is clean, so make sure you do your part in maintaining the cleanliness of this hidden waterfalls. It is our responsibility to take care of it so that many people can still enjoy this amazing attraction and for the next generation to cherish and protect. 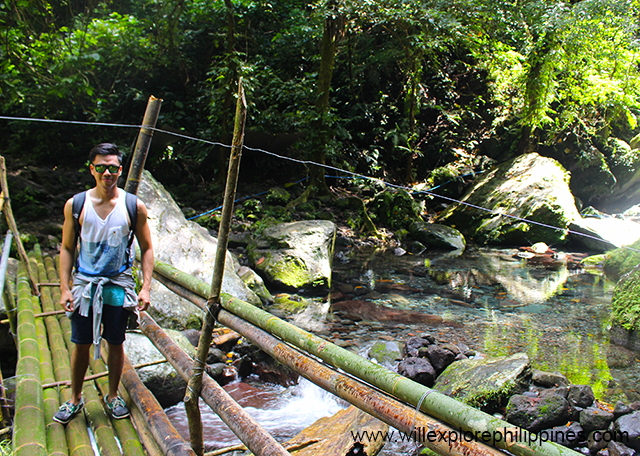 Before going to the falls, I have second thought of going given the 1 hour trekking. I’m not into that, lol! All the hardship going there will fade as you enjoy the beauty of nature by bathing and swimming. If only I can live here. Lol! All the stress in your body will be gone. 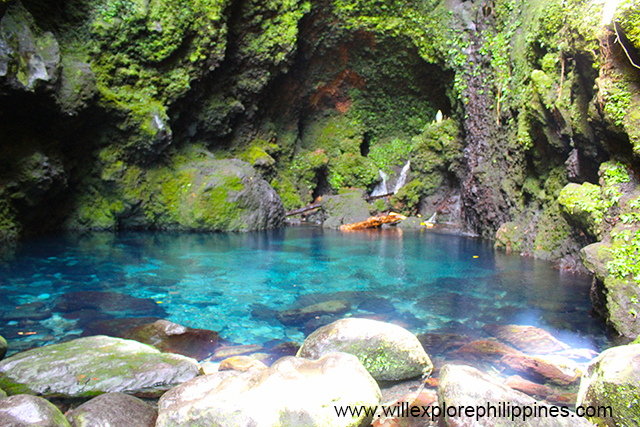 The sunlight that hit the crystal clear water give a dramatic vibrance look in the photos. It’s like an enchanted place indeed. 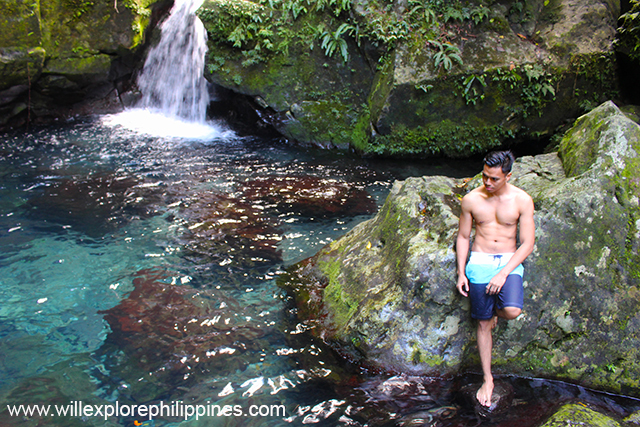 I enjoyed taking a dip in its iced cold water, it’s a refreshing feeling. The water will energize you. 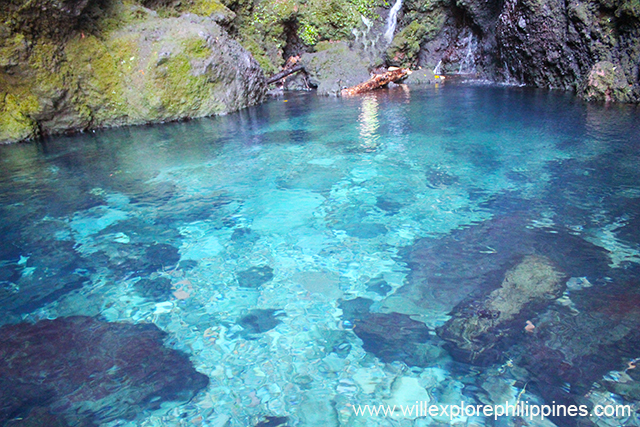 I’ll never seen crystal clear water as Bukal Falls. This is the main falls catch basin, during our visit there is no much water fall from the falls but the view is still amazing. The catch basin is deep, so make sure you wear life vest if don’t know how to swim. They provide that also in the barangay hall. Because it’s monday, there are only few tourists in the falls so you can have it as if you rented the whole place and have the liberty to take wonderful photos. 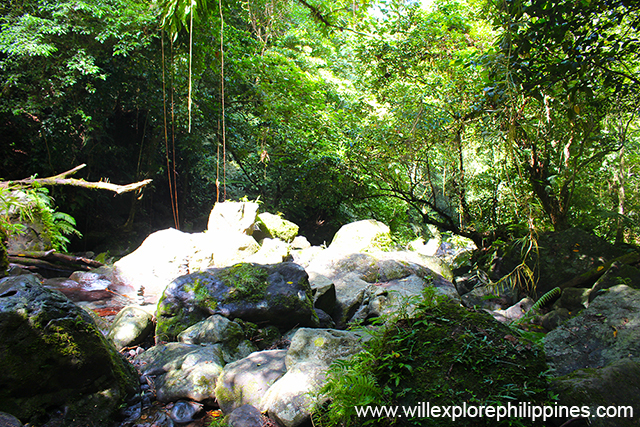 Make sure to check the weather before going to Bukal Falls to fully enjoy the place and for security reasons. Keep the environment clean, so avoid littering or eat before going there as to avoid bringing so much stuff especially if you are there just for a day tour. Bring enough food and water. 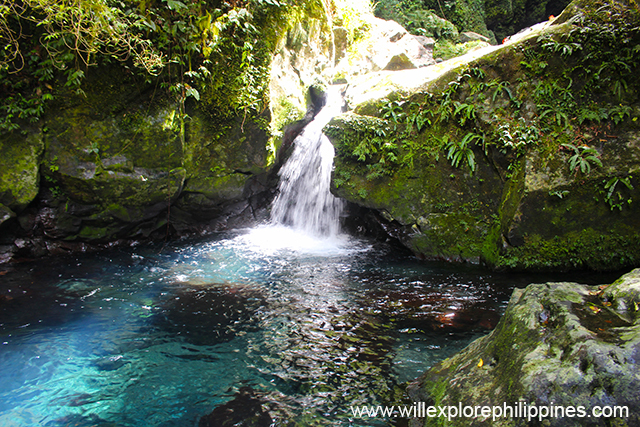 Go there early in the morning as to spend the entire day in the falls, have a relaxing swim and total relaxation. If you are planning to stay there for a night, bring necessary stuff and bring food that are ready to eat, bringing stove is not advisable to avoid fire hazards that can destroy the beauty of the nature. Make sure you are prepared to go trekking so I advice you jog or workout a bit before the day of the visit so that you are physically prepared. Travel in a small group of 2-10 persons to fully enjoy the place and do it on a weekday so that the falls is that as crowded as during weekends. Travel light, bring only needed stuff or leave your things in the barangay hall. Ride a bus from Buendia or Cubao going to Sta. Cruz Laguna then ride a tricycle going to the public market. Jeepneys going to Majajay are available in the area. 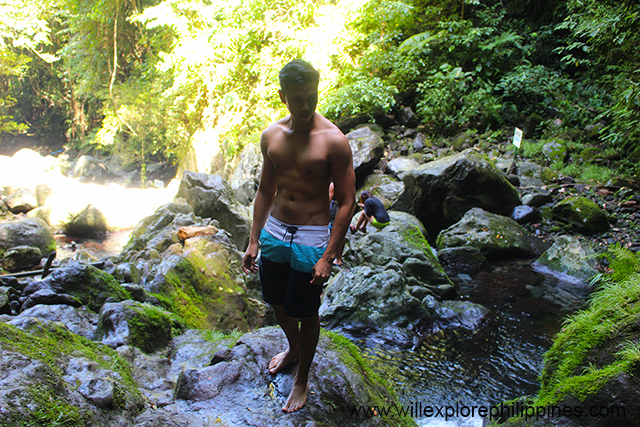 From Majajay, ride a tricycle going to Barangay Bukal Hall, register and then they will provide a tour guide that will accompany you in the trek going to Bukal Falls. They provide accommodation and meals if you plan to stay there longer as to avoid the hassle of bringing so much things and thinking where to sleep and eat. Satisfy your taste buds with healthy organic food while enjoying a relaxing view. They offer day tour to experience a farmville kind of life or avail their packages if you want to stay longer. A great way to appreciate organic produce that are freshly picked by the farmers. More accessible falls with man made path for those who want to relax but don’t have time to trek or can’t endure 30 mins to 1 hour trek going to Bukal Falls. 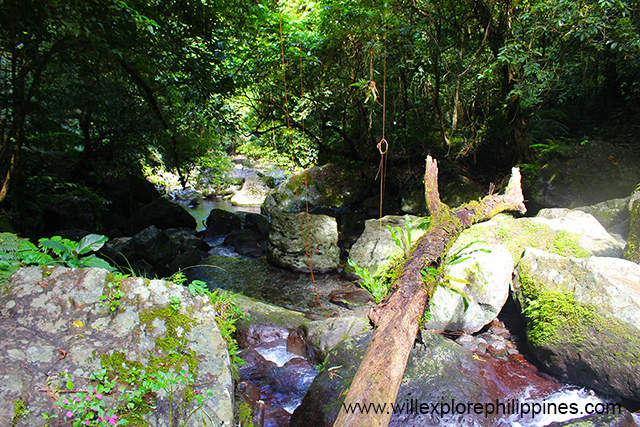 An alternative falls that you can visit in the area. 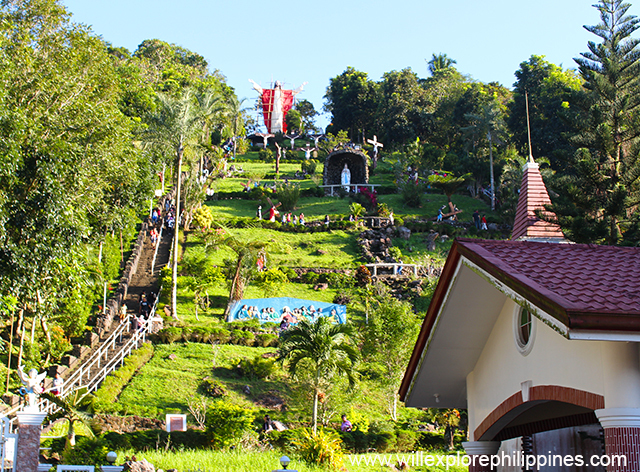 A pilgrimage attraction that is just few kilometers away from Majayjay Laguna.